For the foreseeable future, Greater Tokyo will remain the world’s largest urban area. 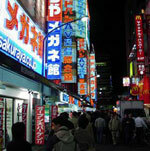 In 2006, the Japanese capital and its surrounding towns are home to an estimated 35.5 million people. By 2020, it is forecast that this figure will have increased to more than 37 million. However, below Tokyo the ranking of the largest urban agglomerations will change between now and 2020. Mexico City, currently number two, will drop to fifth place, while Mumbai is forecast to move up from third to second position. Also on the way up among the top placed urban areas are Delhi, (up from 6th to 3rd), Dhaka (up from 10th to 4th) and Lagos (up from 14th to 7th). On the pages ‘The world’s largest urban areas’ City Mayors ranks the world’s 400 most populous urban agglomerations, or approximately all those with a population of more than one million inhabitants each. The growth of urban populations in most countries of the world has lead to the creation of ‘super cities’. These are urban areas where the original core city has become part of an agglomeration that takes in neighbouring towns, new suburbs, dormitory towns or shanty settlements. Of course, the exact nature of these super cities varies from country to country or even within countries. Whereas in countries like the US, wealthier residents often live in suburbs or dormitory towns outside original city boundaries, in developing countries settlements on the fringes of a city are frequently inhabited by people who cannot afford to live within the boundaries of an established city. But whatever the make-up of super cities, they increasingly become an economic, social and cultural entity. Some countries, notably France, have responded by creating a local government tier that caters for and coordinates the needs of people in super cities. In other countries, such as the United Kingdom, central governments are reluctant to provide political structures to super cities, fearing they may become competing power centres. Today, London’s local government has fewer responsibilities than it had 20 years ago. In some instances, the core population of a city is only a fraction of that of its wider urban area. For example, the city population of New York City amounts to just over eight million, whereas more than 18 million people reside in the larger New York urban area. The size of greater Buenos Aires is almost four times as big as the city proper, while the city of San Francisco has a modest size of 777,000 inhabitants but the urban area of San Francisco boasts a population of more than three million. With an average annual growth rate of more than ten per cent, Beihai, in southern China, is forecast to be the world’s fastest growing urban area between now and 2020. The area, with its increasing importance as a gateway to China, boasts a relatively modest population of 1.4 million now, but its size is forecast to grow to 5.8 million by 2020. Cities with average annual growth of more than four per cent include Ghaziabad (India), Sana'a (Yemen), Surat (India), Kabul (Afghanistan), Bamako (Mali) and Lagos (Nigeria). Cities with forecast falling populations include Bucharest (-1.3%), Sofia (-0.98%), Budapest (-0.68%), Turin (-0.56%), Ekaterinburg (-0.52%), Rome (-0.46%), Birmingham (-0.12%) and Taipei (-0.11%).